The New Moon in Gemini is exact at 12:43pm PST at 23 degrees on Wednesday June 13th. Gemini governs the mind, perceptual system and all the ways we put them to use: to learn about our world and other people, to process information, explore, think, learn new skills, gain knowledge, and communicate. Gemini is quick and curious, hungry for stimulation, for new information, new people, new conversations, new knowledge. This time of year often feels busy, with many social engagements, lots of communication, errands and short trips, and much exchange of information. The New Moon’s ruler is Mercury (Hermes), the quick footed messenger God. At the time of the New Moon, Mercury, is approaching an opposition with Saturn and is in a very close square to the minor planet, Chiron. In addition, Venus will shift into Leo shortly after the New Moon, and then will square Uranus. 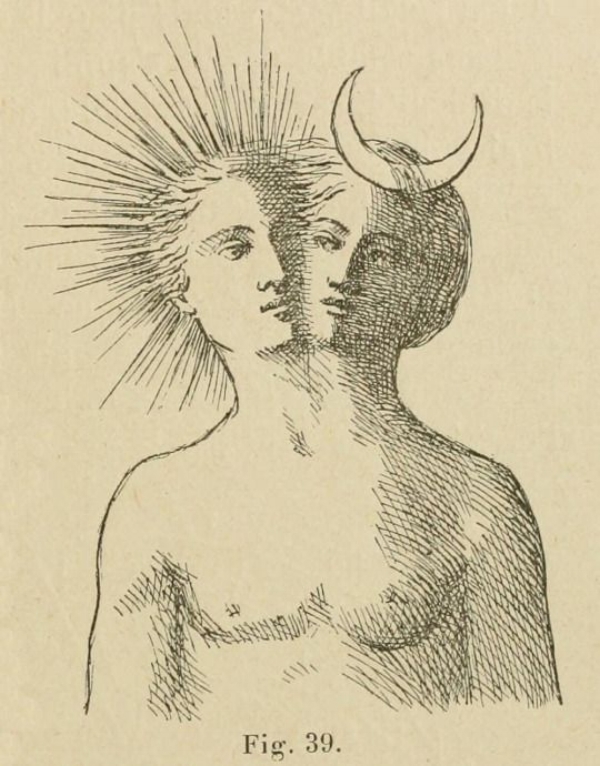 Gemini are the twins, suggesting options, multiple ways of being. And indeed, these aspects offer us a choice: to wound or to heal. Communication is not optional, but how we use our words is. Mercury-Chiron-Saturn may incline toward hurtful words; but the same energy can be put to use for healing. Have that heart to heart; voice your deepest feelings, your innermost truth. Venus-Saturn could signal sudden breaks or difficulty in relationship; but also could incline toward making long term commitments and plans. If there are tensions beneath the surface, if you have unvoiced fears or insecurities, speak to them! Many of us have a tendency to repress difficult or unpleasant emotions and thoughts. But repression is not the same as being positive! Expressing our feelings and fears and doubts to loved ones helps to bring those feelings out of the shadows and into the light of day where we can understand where they came from and how they work. In daylight, we might discover that our fears are unfounded, or that there are ways to address them, or our feelings move through us when we acknowledge them. There is nothing negative about expressing even so-called “negative” emotions. If someone hurts you, seek the source of the pain. Usually, when we feel hurt, there is a deeper wound that has been reopened. From a spiritual perspective, everything happens to help us grow. So what is this pain showing you? Perhaps it points to a traumatic event or dynamic from childhood that hasn’t yet been resolved; now is your opportunity to address that original wound. Blaming others even when they are at fault doesn’t help us grow. Consider your own role in the pain you feel. If an entire relationship dynamic is or was painful, then what was the role of that relationship in your life? Why were you drawn to that person? Why were you drawn into the painful dynamic? A dynamic is created by (at least) two people. Certainly set your New Moon intentions, but this is also a time for accepting that we don’t have control over everything. Life is full of surprises and changes, some that we welcome, some, not so much. We do have control over how we respond to what flows into our lives though. We have control over how we treat others and ourselves. We have control over how we employ this astrological energy.